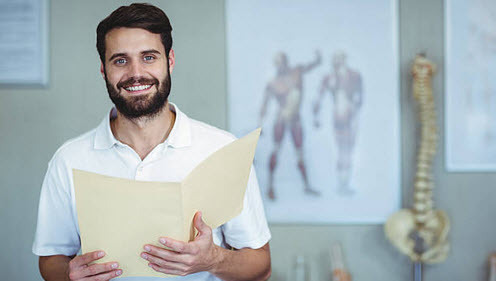 Chiropractic care refers to a natural and holistic treatment utilizing manipulations and adjustments of the spine to restore proper function to the nerves and the spine in general. It focuses on gently working with your body to restore balance. Note that, stem cell treatments utilize stem cells present in your body to promote healing, so the two treatments complement each other besides a few notable differences. On adults, stem cell treatments are effective because of the specific nature of the stem cells found in the adult body. Similar to blank building blocks, stem cells can transform other cells, repair or replace areas in the body damaged by aging, injury or disease. Medications often treat the symptoms but stem cell therapy finds the underlying cause of the problem, promoting wellness from within the body. That’s why this form of treatment has been adopted with other medicated treatment options such as sports medicine, physical therapy, surgery or orthopedics. At least 100 million people in the US suffer from chronic pain conditions associated with the spinal cord ranging from whiplash, pinched nerves, herniated or bulging discs. Stem cell therapy works from inside outwards recreating new tissue without involving invasive procedures. These treatments are being used by top athletes as well as numerous surgeons who add them to their surgical procedures to promote effective and faster healing at the cellular level. Therefore, you can count on faster healing regardless of your condition. Currently, holistic and chiropractic care practitioners are also including stem cell therapy in their treatments. That’s because it has proven effective and less invasive when treating minor and major health conditions for different people. OC Wellness Physicians Medical Group works with many medical disciplines to assist different people in healing faster and reducing pain. Stem cell treatments are effective for treating various conditions including hair loss, pain management, nerve pain and much more. Don’t visit any surgeon or medical practitioner without producing your medical history. That’s because only a qualified practitioner can determine whether you’re a good candidate for stem cell therapy, depending on your ailment. Contact us to meet and talk to our stem cell experts. Get in Touch today!